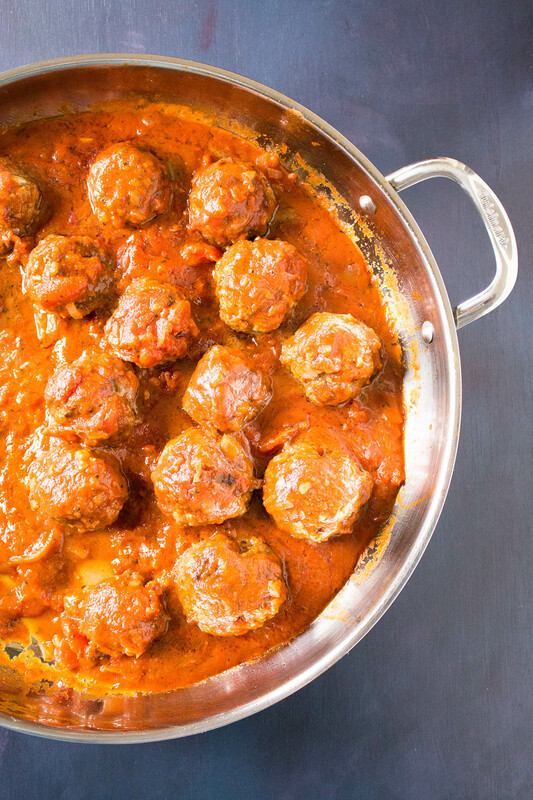 Satisfy the biggest of appetites with this recipe for seasoned beef meatballs seared then slow cooked and drenched in habanero-tomato sauce. Just the right amount of spice and HUGE on flavor. Game day is on the way! The BIG GAME is approaching, my friends. Some of you are excited as HECK for this. You know who you are! Some of us are just as excited for the food. When it comes to game day tailgating or homegating, wherever you’re throwing the party, you GOTTA have good food to make the day complete. 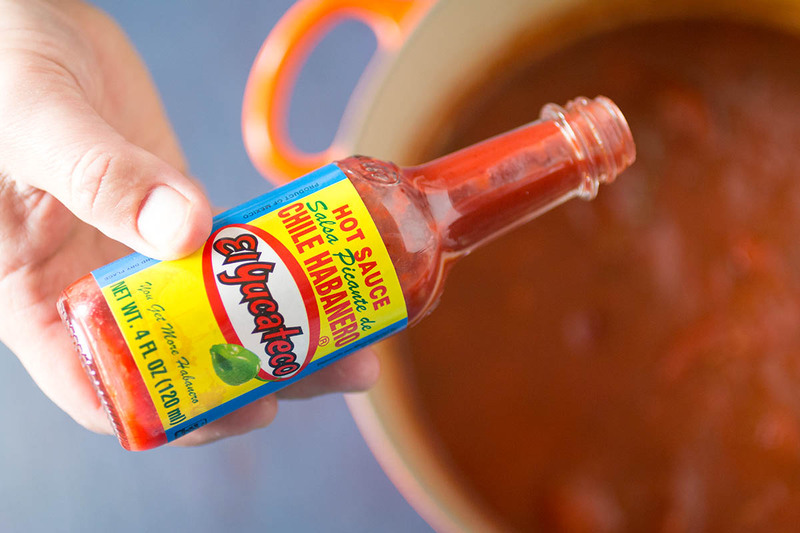 Today we’re cooking with El Yucateco® Red Chile Habanero Hot Sauce. 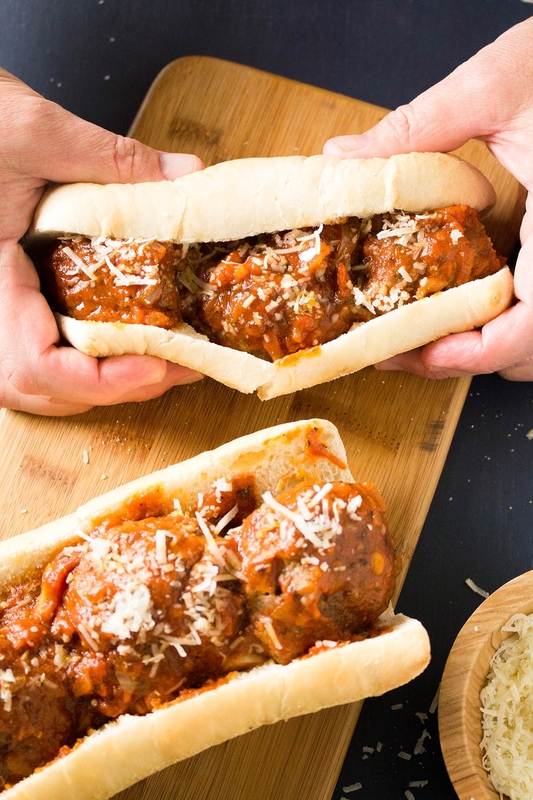 For that big bash, we’re serving up something EVERYONE loves: Meatball Subs. Drop the mic! These crave-able meatballs are seasoned with basil, a big helping of Parmesan cheese, and one of my personal favorite ingredients to cook with – HOT SAUCE! 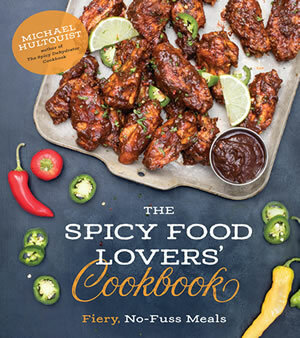 Today we’re using El Yucateco® Red Chile Habanero Hot Sauce, and we’re using it two ways. First, we’re adding it to the meatballs to kick the flavor up a notch, and second, we’re adding it to a simple tomato sauce that we’ll be using not only to simmer and cook the meatballs, but to also drench the meatball sub sandwiches. Talk about YES! We’re excited to serve these up. We picked up a few bottles of El Yucateco® Red Chile Habanero Hot Sauce at our local Butera Market, just down the road. 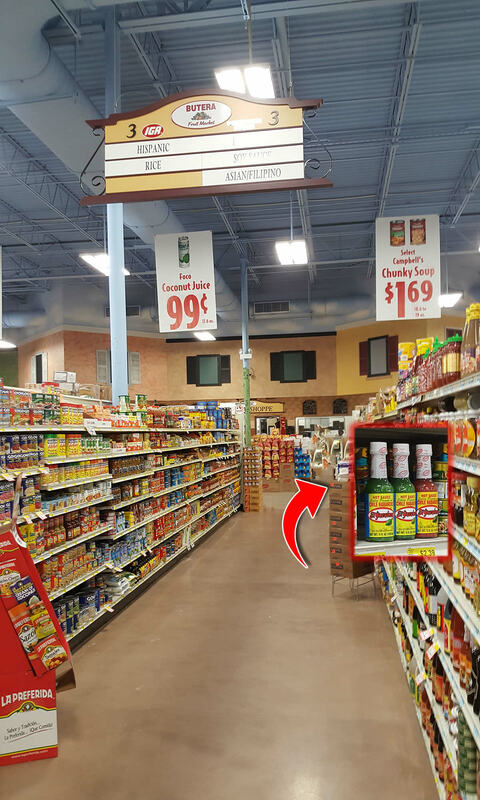 You can find El Yucateco® hot sauces in many stores. We found ours in the aisle labeled “Hispanic”. You’d be surprised how often I find myself shopping in this aisle. Or perhaps not! 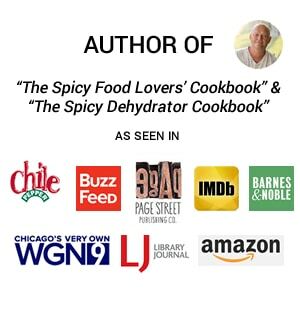 El Yucateco® Red Chile Habanero Hot Sauce is authentic and made from habanero peppers handpicked from their own fields. You can grab them in 4 ounce bottles, so they’re easy to carry around to dash on practically anything. 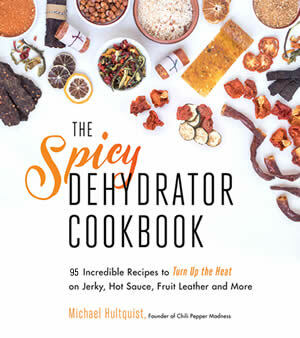 You probably already do that, you hot sauce fanatic, you. So let’s get cooking! Start by getting your sauce going. You’ll heat up a large pan with a bit of olive oil and cook down the onion a few minutes, then the garlic for about a minute until you can smell it. Cooking garlic is SO GOOD. Next, add the whole tomatoes and break them up a bit, the tomato sauce, basil, a bit of salt and pepper, and hot sauce. Bring to a quick boil, then reduce the heat and let it simmer. I like mine to simmer about an hour to REALLY let the flavors develop, but half hour is no problem if you’re in a rush. I check it a few times as it cooks and adjust with salt, pepper and more hot sauce to my personal tastes. While the sauce is simmering, let’s get to work on the meatballs. Go ahead and add the meatballs ingredients to a large mixing bowl – ground beef, minced onion and garlic, beaten egg, panko, Parmesan cheese, basil, salt and pepper, and plenty of hot sauce. 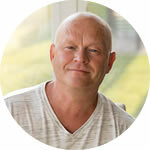 The recipe calls for 2 tablespoons, but you can easily add more to your personal preference. I freely admit I added more. Mix it all together by hand, but be careful not to overmix. If you overmix it, the end meatballs can become mealy, and you want them meaty, not mealy. Form them into 18 meatballs, like so. With 2 pounds of meat PLUS all of the other ingredients, that should work out to 18 meatballs of roughly 2 ounces each. If you serve 3 meatballs on a sub, this will give you 6 good sized meatballs sub sandwiches. 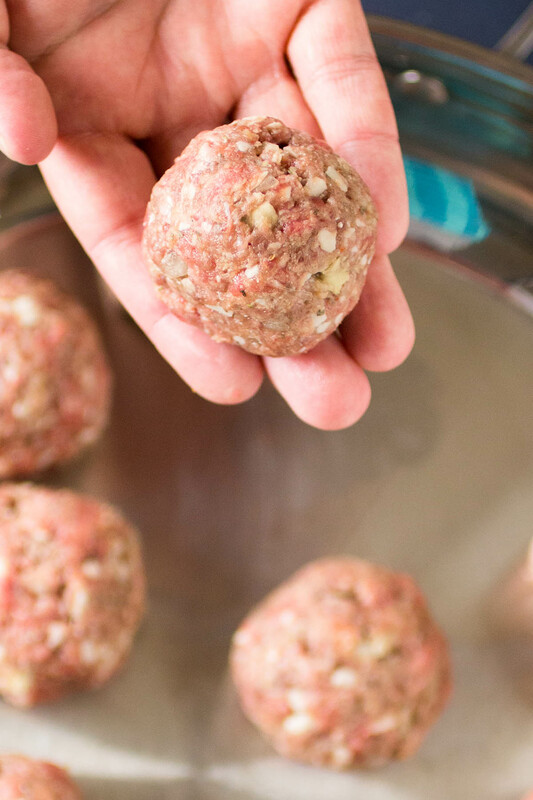 If you’re throwing a larger party, scale up accordingly, or add in more ingredients to make bigger meatballs. Sear up the meatballs in a bit of oil in a large pan, just enough to nicely brown the edges, then cover them with your red sauce. Lower to heat and simmer the whole thing about 20-30 minutes to cook the meatballs through. You can let them simmer a while at low heat. Once your party guests arrive and are ready to eat, serve these up on some French rolls or hoagie rolls, top them with grated Parmesan cheese and extra El Yucateco® Red Chile Habanero Hot Sauce and you’re good to go! Don’t these babies look delicious? I hope you enjoy the game! 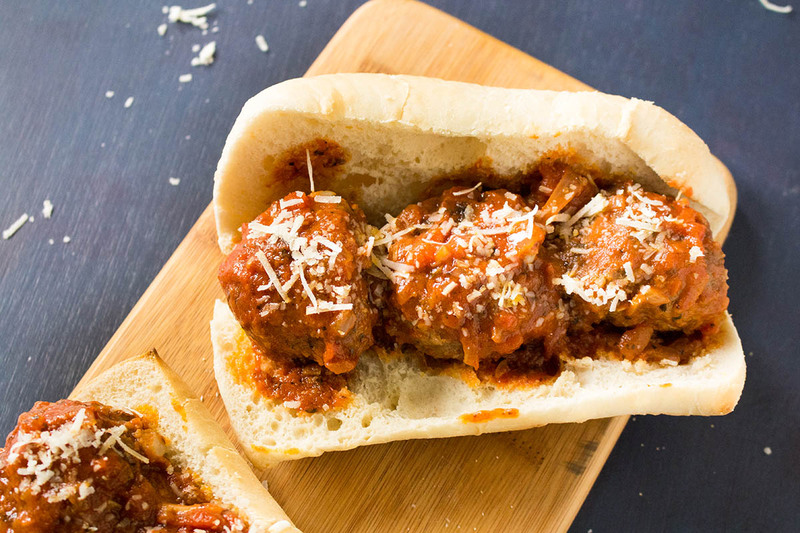 And your spicy meatballs subs! French rolls or hoagie rolls extra grated Parmesan cheese and more El Yucateco® Red Chile Habanero Hot Sauce. Get your sauce going first by heating a sauce pan to medium and adding olive oil. Add the onion and cook about 4 minutes to soften, then add garlic and stir. Cook another minute until you can smell the garlic. Mmmm. Add whole tomatoes, tomato sauce, El Yucateco® Red Chile Habanero Hot Sauce, basil, and salt and pepper to your preference. Stir it up! Bring the whole thing to a quick boil, then reduce the heat and let it simmer at least 30 minutes. An hour is better to let the flavors mingle. 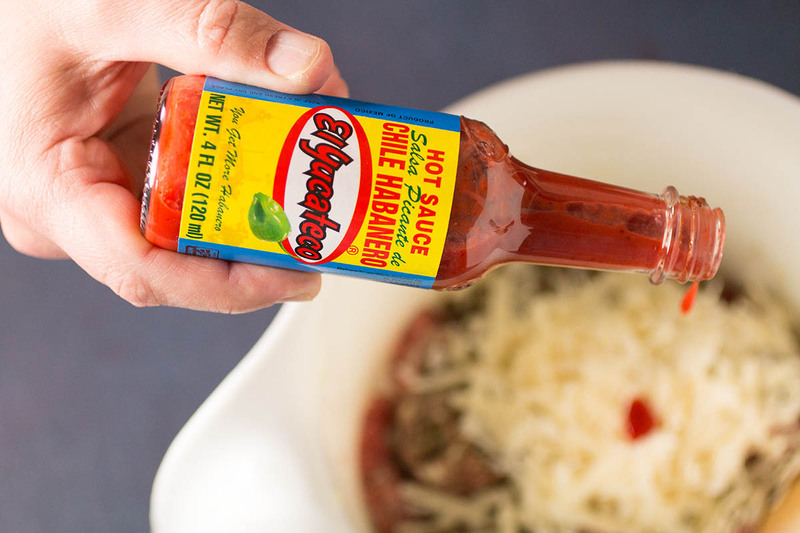 Next, get your meatballs going by adding the ground beef, egg, panko, Parmesan cheese, dried basil and El Yucateco® Red Chile Habanero Hot Sauce to a large mixing bowl. Add salt and pepper to taste. Hand mix the seasoned meat, but do not overmix, or the meatballs can become mealy. Form them into 18 meatballs. Heat a large pan to medium heat and add olive oil. Add meatballs and cook a couple minutes per side to brown them up. Pour the red sauce over them and let the whole thing simmer about 20-30 minutes to cook through. 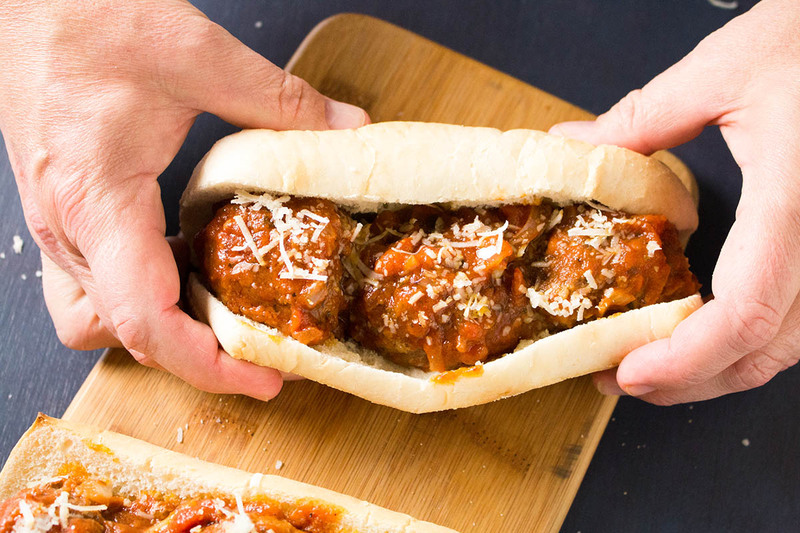 Serve the meatballs onto hoagie or sub rolls. Top with extra Parmesan cheese and habanero hot sauce. Enjoy! Makes 6 meatballs subs, so scale up accordingly!